Donna Haraway presented her lecture as the 2003-2004 Avenali Chair in the Humanities at the Townsend Center for the Humanities, UC Berkeley. Haraway is a prominent theorist of the relationships between people and machines, and her work has incited debate in fields as varied as primatology, philosophy, and developmental biology. 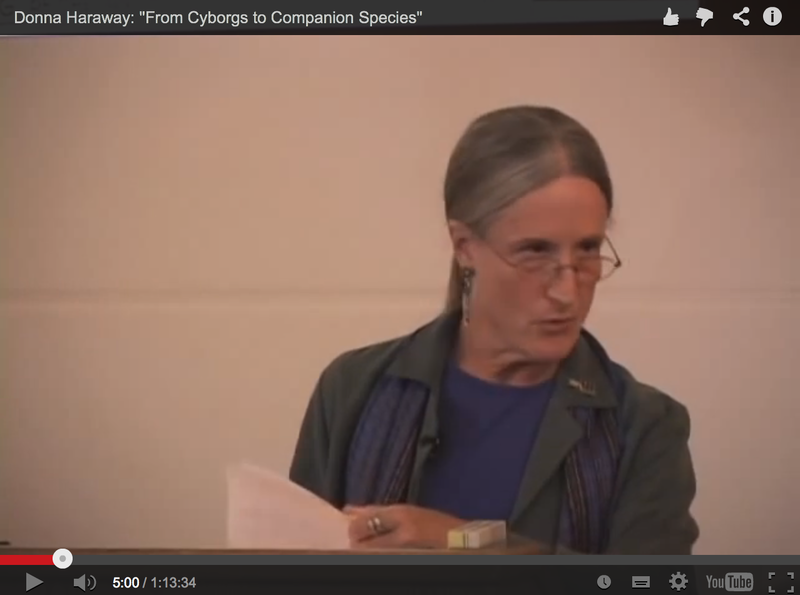 Haraway’s The Cyborg Manifesto, first published in 1985, is now taught in undergraduate classes at countless universities and has been reprinted or translated in numerous anthologies in North America, Japan, and Europe.